Paskine is a french artist, musician and graphic designer living and working between Marseille and Brussels. In his compositions Paskine shows a strong interest in the noise, repetition, abstraction and experimental stage. Paskine‘s music could be described as ambient and noisy, or simply experimental. He composes his music with the willingness to create forms and sounds that were previously inaccessible to the music made with traditional musical instruments. He works with field-recording or records find in archives, and composed synthesized sounds produced by computer. He want to create immerssive soundscapes, Invasive wall of sound, deconstructed melodies, rhythmic barely blown, and creating with abstraction of form some kind of idea of narration. Nimrod is Paskine‘s debut album. 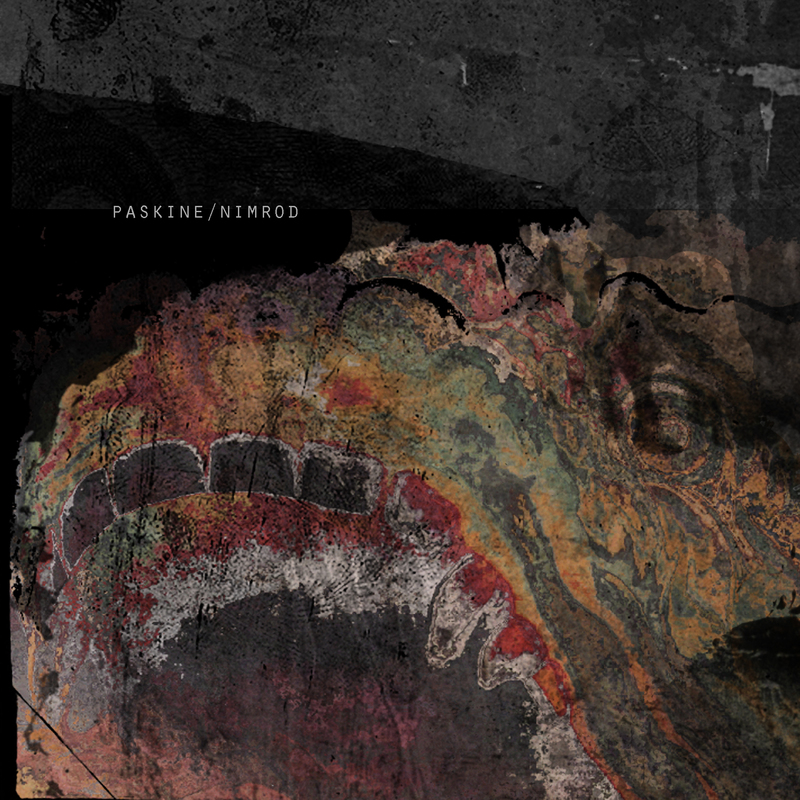 Paskine here continues his experiments with noise and repetition, making his most abstract compositions to date, and adding a strong narrative element with the album’s structure. Nimrod was created with the idea of plunging the listener into a sound storm. It is composed of immersive drones, deconstructed melody, crackles and multiple kinds of noises invading space, blowing, little heavy and repetitive rhythm. The album is structured into nine parts, as kind of chapters; some minimalist, sometimes just the opposite; sometimes melodic, sometimes completely abstract.